The Causes of Vitamin D Deficiency are Probably NOT What You Think! "Why Do I have Vitamin D Deficiency!" Everyone wants to know What Causes Vitamin D Deficiency. 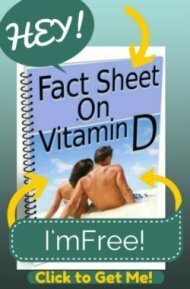 They believe that they 'shouldn't' have Vitamin D Deficiency and so they think that something must be 'wrong' with them. But the vast majority of the time, there is nothing 'wrong' except for not getting enough vitamin D! This is the primary reason that most people don't meet their Vitamin D Requirements. These are by far the most common Causes of Vitamin D Deficiency, and since you actually need up to Ten Times the vitamin d that doctors and governments recommend, there's really no surprise that most people have Symptoms of Vitamin D Deficiency and don't even know it!! Anyone with any of these issues should have their Vitamin D Levels Tested NOW and at least once a year before you start on Vitamin D Therapy- even if you think that you 'should' have normal vitamin D levels, get 'plenty' of sun, or take 'enough' Vitamin D Supplements already!! The inability to absorb fat is one of the more common, but serious vitamin D deficiency causes. More people actually have this condition then have been diagnosed and, if you have any health conditions- especially those that involve digestion- you may have difficulty withVitamin D Absorption. Any OTHER vitamin deficiencies- particularly Vitamin B12 Deficiency or anemia! If you have any of these, you need to get a Vitamin D Level and get Treatment of Vitamin D Deficiency and find out the causes of vitamin d deficiency for you. Your liver makes enzymes to convert vitamin D into its active form, and if you take too many toxins IN and aren't able to effectively get rid of them, then you won't be able to CONVERT vitamin d into its usable form in the body. You may TAKE lots of vitamin d and ABSORB plenty of it, but you won't be able to USE it!! People that have this problem will often have multiple chemical sensitivities or have several health problems. The immediate treatment of the vitamin D deficiency is to get more Vitamin D- but you REALLY need to get rid of the Environmental Toxins that are overwhelming your liver. Your doctor should ALWAYS make sure that you do not have parathyroid gland dysfunction if you have a low vitamin D level. Getting a Blood Calcium Level and a parathyroid hormone level will easily rule out this problem. You can go to Parathyroid.com and read about their extensive discussion of Vitamin D and the Parathyroid Glands. If you believe that you might have parathyroid disease, then be sure that you do NOT take vitamin d!! Having parathyroid disease is one of the rare Vitamin D Contraindications, meaning that you should absolutely NOT take vitamin d unless you are specifically given the OK to do so by your endocrinologist. So these are ALL of the Causes of Vitamin D Deficiency, however the most common cause is still simply that we don't get sunlight onto our skins and don't take enough supplements because people have been taught the myth that they can rely on Vitamin D Enriched Foods and other Vitamin D Foods. Today, the health care system tells us that the sun is going to give us skin cancer- and they have VERY effectively been able to get the vast majority of us out of the sun and into long sleeved shirts and sunscreen- with severe vitamin D deficiencies in most of us as a result. But even those of us who DO get 'Plenty' of sunshine can have it effectively not absorbed because of all of the Vitamin D Deficiency Causes that have been mentioned above. As the people in this study show with Low Vitamin D Despite Adequate Sun showed us, even living in Hawaii and getting approximately 12 hours of sunlight exposure per week, doesn't guarantee that you will get enough Vitamin D to meet your needs. 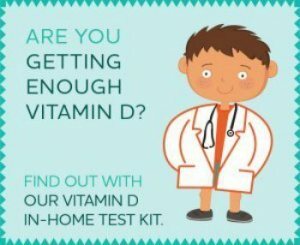 So, please Check Your Vitamin D Level because symptoms of Vitamin D deficiency are often SO SUBTLE that they are nonexistent! But if Symptoms of Vitamin D deficiency are nonexistent, how do you know that you HAVE Vitamin D deficiency -and why should you care? Keep reading to find the answer to the question that new Vitamin D research has the surprising answer to. Click below to read already answered questions about the causes of vitamin D deficiency..
Parathyroid disease, Vitamin D, or leaking kidneys??? Can Vitamin D Become Depleted from Radiation?